The idea of children scared the living hell out of us. Do we really want to give up this wonderful life of excess and fun to raise a child? Do we want to deal with pooping and crying? Yes and no. Maybe? I’m not sure. After much debate, we decided to take the leap and booked a trip to Paris. Lesson 1 – For future fathers, a trip to Paris with your betrothed is and always will be a good starting point for the creation of human life. The entire pregnancy was a blur for me and even more for my wife. As an expectant father, the whole concept of a human living in your wife’s belly is pretty surreal for you… 100% real for your wife. She has a small child taking breakdancing lessons in her stomach and eating half her food… all the time. Imagine walking around with a little gremlin in a huge fannypack that steals half of your Sweetgreen salad… all the time. Trust me. It is like that. Lesson 2 – You will never begin to understand what your wife is going through. Don’t try. The best thing you can do is support her with your words and actions. Clean the damn house. I just wanted to let you know that I’ll be arriving around 3:00pm on Sunday, January 31st. I thought about taking the first Braxton Hicks Express that arrives at 4:00am but I didn’t want to disturb your weekend. Get a full night’s rest and I’ll see you soon! It was simply not the case. We were informed at 11:00am on Friday that we were going to be induced that day. We had to rush home, grab the overnight bag, take our first born to the Pooch Hotel and prepare ourselves to meet our baby. Lesson 3 – You can plan all you want but remember baby does what baby wants and modern medicine forces baby to do what doctor wants. It is never your decision. After delivery, we were moved to the nursery where the wonderful nurses helped us through our first couple of days as parents. My wife was absolutely exhausted and I needed some alone time to figure out if my son was going to play basketball or soccer or both… do I really want him on a traveling team… maybe he should play guitar… how am I going to teach him to be patient… wait I’m not patient… maybe we should sing to him every night… am I going to know how to change a diaper… what if his poop shoots out all over the wall… what if he chokes on his tears… I wonder if the sandwich was bad from the hospital cafeteria… my stomach hurts… I hope he isn’t colicky. Needless to say, you have a lot going on and it is 100x worst for your wife. Lesson 4 – Take advantage of the nurses. We sent Caden to the nursery every night in order to get a full night’s rest. You are better off rested. We had the best nurses in the world at Brigham and Women’s Hospital and I’m thankful for that. I’ve heard horror stories where judgmental nurses have made new parent’s lives a living hell because of decisions around breastfeeding or nursery time. Guess what? It is your life and your child. I take that back. It is your wife’s life and your child. It is your decision. If you want to breastfeed. Great! If you want to formula feed. Fine! The most important thing in the world is your baby getting food and being healthy. That’s it. Lesson 5 – Who cares what other people think? Not you. It is your life. Do what you want but remember to have the conversation before you end up in the hospital. You are a much stronger family if you are on the same page. The next lesson is by far the most important one. You will be showering me with gifts of gratitude after I drop this knowledge bomb that deals with the three Ps: Pampers, Poop and Pee. You will soon discover that your seven pound bundle of joy produces ten times its weight in excrement and you need to be prepared to fight the good fight without being bloodied (or yellowed). Lesson 6 – You will be hit with urine unless you take the necessary precautions. For those of you with a male heir to the throne, I’m pleased to introduce you to the pee-pee teepee. This little contraption of cloth and cute dogs has been a lifesaver. Your little bundle has the tendency to pee every 3 seconds with the PSI equivalent of a water hose. 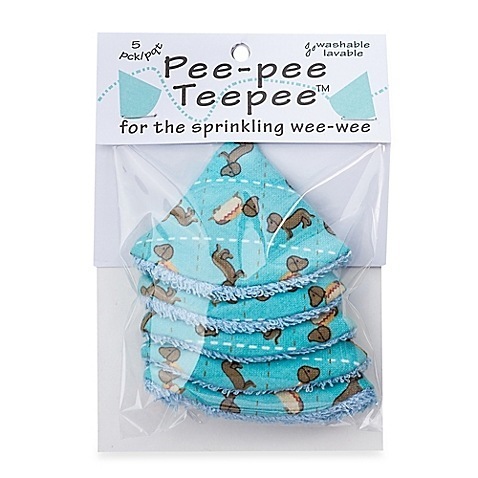 If you do not have your trusty pee-pee teepee you will be hit with urine, your wall will be hit with your urine, you will get urine in your mouth… on your clothes… in your hair… on your guitar… the dog… the tv… carpet… the cat… other small children… You get the point. While your little guy (or girl) is peeing on your dog, they will more than likely be pooping at the same time. This is a timed and thoroughly planned process whether your little angel means to or not. There have been plenty occasions where Caden has waited until a fresh diaper is within his vicinity and he has laid a massive poop bomb on the fresh linen. Lesson 7 – Your little one has a spidey sense for clean objects and will dirty them before the cleaning session is over. Always lay out one or two extra diapers. At the end of the day it is about two things… your wife and baby’s comfort. Nobody cares about you and they shouldn’t. You are along for one of the best rides of your life. Enjoy it.